The doctors and staff at Chan Chiropractic have helped patients who have been involved in auto accidents for over 20 years. We take care of our patients with quality treatment sessions and individualized, goal-oriented treatment plans. We help patients relieve their pain and other symptoms, restore their function, and use rehabilitative exercise for their present and future health. We are an on-site x-ray facility. Our examinations are very important to not only make a proper diagnosis and treatment, but it is also important to make sure that no other serious injury or condition is present. In such cases, a patient will be referred for medical care. The most common conditions we see related to auto accidents include neck pain (whiplash), headache, TMJ problems, shoulder pain, low back pain, and numbness/tingling and pain related to nerve injuries. Our chiropractic treatment may include chiropractic adjustments (manipulation), soft tissue therapies, physiotherapy, exercise therapy, activities of daily living training, and ergonomic training. We will modify our treatment depending on the condition, the patient preference and patient safety. We care for our patients’ cases in a professional manner with proper documentation, evaluation and reporting. We are well-accustomed to working with patients’ insurance companies and legal representatives, if present. 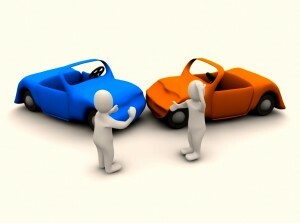 Read our Auto Accidents Guide to learn about auto accident care and prevention.